When will be First Family of Hip Hop next episode air date? Is First Family of Hip Hop renewed or cancelled? Where to countdown First Family of Hip Hop air dates? Is First Family of Hip Hop worth watching? First Family of Hip Hop follows the son and grandchildren of Sugar Hill Records founder Sylvia Robinson as they seek to restore the prominence of the storied rap label behind the seminal 1979 track "Rapper's Delight". Leland makes LeA an offer but his strong-willed daughter has ideas of her own. Meanwhile, Rhondo rallies the rest of the Robinson men to confront Big Lee with their concerns about how he's running Sugarhill Records. Darnell and Eseni have another huge blow up, pushing Leland to draw the line with his son and Eseni to take a pregnancy test. Shanell plots her next move to relaunch her career as Lady Luck, and takes steps the family views as a betrayal. With the family imploding, Leland attempts to smooth things over. He confronts Shanell about her betrayal of Rhondo, and after Darnell refuses to leave the house, Big Lee takes action. While Shanell debuts her Lady Luck album to music industry execs, Rhondo tries to get Darnell on board with being part of his presentation to Leland. And a family outing to ride ATVs brings tension between Rhondo, LeA and Shanell to a head. 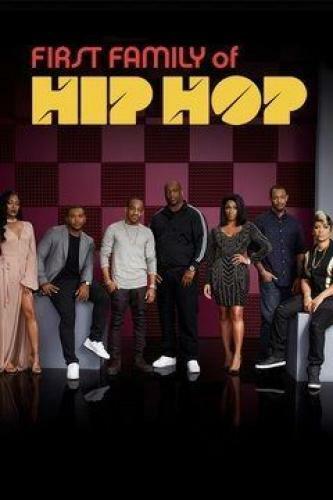 First Family of Hip Hop next episode air date provides TVMaze for you. EpisoDate.com is your TV show guide to Countdown First Family of Hip Hop Episode Air Dates and to stay in touch with First Family of Hip Hop next episode Air Date and your others favorite TV Shows. Add the shows you like to a "Watchlist" and let the site take it from there.